My colleagues and I at Weill Cornell Medicine Ophthalmology are dedicated to delivering the best possible care to our patients. We have assembled a world-class Ophthalmology department providing state-of-the-art expert integrated care in all of the Ophthalmic subspecialties. I am proud to be associated with such a dynamic and compassionate team of doctors and I look forward to sharing my enthusiasm with you. Christopher E. Starr, MD, FACS, attended Brown University as an undergraduate and received his medical degree with honors from Cornell University Medical College where he completed an additional year of advanced laboratory research in urology. After an internship in internal medicine at Columbia University, St. Luke's-Roosevelt Hospital, Dr. Starr completed his ophthalmology residency training at Harvard Medical School, Massachusetts Eye and Ear Infirmary. He then completed an advanced fellowship program in cornea, cataract & laser vision correction surgery at Johns Hopkins University, Wilmer Eye Institute where he was the recipient of the Walter J. Stark Research Award for his work on treating corneal dystrophies. 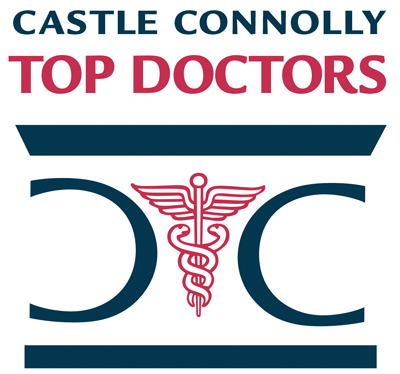 Dr. Starr has received many professional awards and honors including Best Doctors in America, America's Top Ophthalmologists, Top Ophthalmologists in the Northeast, Premier Surgeon PS250 Award, and in 2013 he was named to the prestigious Castle Connolly Top Doctors List and New York Magazine named him a Best Doctor. In addition to his busy practice, Dr. Starr is an active and accomplished researcher and lecturer. He has contributed extensively to the ophthalmic literature, authoring numerous peer-reviewed papers, textbook chapters, original articles, and scientific presentations. He has been the principal investigator of many clinical trials and has a robust research program at Weill Cornell. He is a member of the American Society of Cataract & Refractive Surgery (ASCRS) Cornea Clinical Committee and is the inaugural moderator of the international ASCRS Corneal EyeConnect online forum. Dr. Starr is an editor of the journals Refractive Eyecare, Topics in Ocular Anti Infectives, Advanced Ocular Care, Cataract & Refractive Surgery Today, Current Ophthalmology Reports and Millennial Eye for which he writes a regular technology column. He is the host of the popular online video series Eyetube Journal Club and Ocular Surface Case Series on www.eyetube.net which have been watched over 100,000 times. Dr. Starr is also a valued educator, not only to his own residents, fellows and medical students, but also to established physicians and surgeons from around the world. As an invited instructor and lecturer he has taught physicians at the Advanced Cataract Surgery Course at the ASCRS and AAO meetings and the Intensive Cataract Surgery Course at Harvard University. He was on the planning committee of the ASCRS Cornea Subspecialty Day meeting in 2013, and he co-moderated the session on ocular surface diseases. In 2006, he was the honored recipient of the Teacher Of The Year Award at New York University, Manhattan Eye Ear & Throat Hospital for his excellence in teaching and mentoring. Dr. Starr currently serves as the Director of Ophthalmic Education and Director of the Fellowship Program in Cornea, Cataract & Laser Vision Correction Surgery at Weill Cornell College, NewYork-Presbyterian Hospital. He was the Director of the Residency Program in Ophthalmology from 2006 to 2012. Dr. Starr is a diplomat of the American Board of Ophthalmology, a fellow of the American College of Surgeons and a member of the American Academy of Ophthalmology, Association of University Professors in Ophthalmology, International Society of Refractive Surgeons and the American Society of Cataract & Refractive Surgeons among many other professional societies. Additionally he sits on the Board of Medical Directors of the Eyebank For Sight Restoration and he recently served a term as an elected board member of the New York State Ophthalmological Society. He is frequently featured in the ophthalmic and mainstream media including the New York Times, Washington Post, ABC News, CBS News, Today Show and others. Dr. Starr is an Associate Professor of Ophthalmology at Weill Cornell Medicine and his practice interests include innovative laser vision correction (custom bladeless LASIK, LASEK, PRK), restorative corneal surgery (DSAEK and corneal transplantation), advanced cataract surgery with premium IOL's (accommodating, multifocal, toric, LRI) as well as dry eye and general ophthalmology. He is accepting new patients and he participates in many insurance plans, appointments can be made by calling Weill Cornell Medicine Ophthalmology at (646) 962-2020. For additional information, please visit www.WeillCornellEye.org and www.StarrMD.com. Christopher E. Starr, MD, FACS has been named one of America's Top Doctors by Castle Connolly. We have 384 of America's Top Doctors in 57 medical specialties.